Due to a previous contractual agreement, signature of Jason Hayward does not appear on this bat. 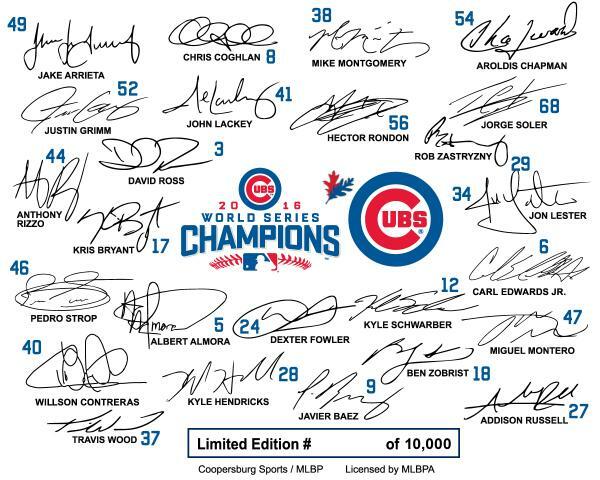 The Chicago Cubs are World Series Champions! The Cubs have won their first World Series Championship in over 100 years and fans are celebrating their team's return to the top of Major League Baseball. 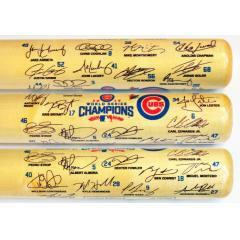 To celebrate the end of this baseball championship drought, we are proud to offer Cubs fans this Full Size Team Signature Bat to celebrate the team's 2016 World Series Championship. 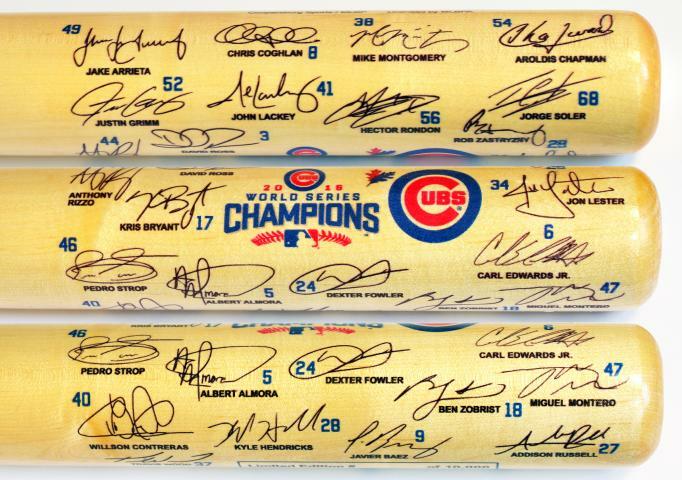 These full size bats feature the facsimile signatures of the World Series roster. Order yours before they are gone!